Marcia, has been pleading for this recipe. 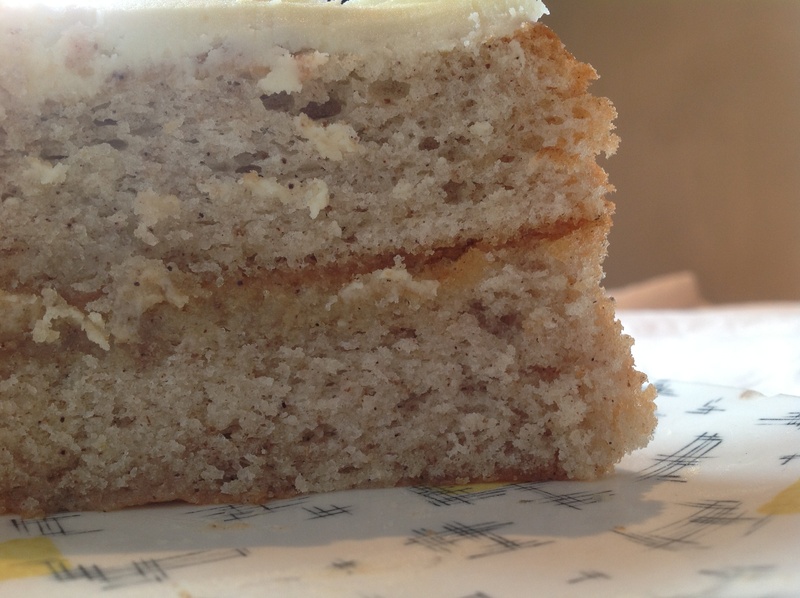 She absolutely loves this cake, so here it goes Marcia…. I hope you finally make this!!! Mix the egg yolks, sugar, oil and water together for about 10minutes. Add the remaining ingredients, except for the egg whites and mix well. Separately mix the egg whites until they are soft peaks. Fold the egg whites into the above batter. Line a 20cm or 23cm cake tin. And bake for approximately 30minutes (or until baked) at 180 degrees celsius. You can split this into 2 cake tins, if you do so, bake time should be around 15-20minutes. OR you can double the recipe, and split it over two cake tins. Now if it’s only 1 cake you’ve made, melt a little bit of butter and brush over the cake and sprinkle some cinnamon sugar over it as well (or split cake in half). If you’ve made two, the middle can be filled with apricot jam or buttercream icing…whatever is your fancy. This entry was posted in Baking as easy as 1..2..3 and tagged cinnamon, cinnamon sponge cake, Mixed spice, sponge cake, sunflower oil, warm water by angelb38. Bookmark the permalink.